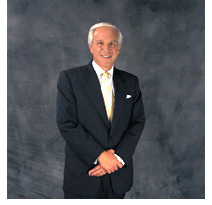 Attorney Andrew C. Meyer, Jr. has been recognized for more than 20 consecutive years by The Best Lawyers in America. The well respected peer-review publication recently selected him “Lawyer of the Year” in the practice area of medical malpractice law. 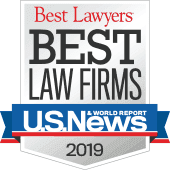 Meyer has been a Top 100 Super Lawyer since 2004, and was amed “One of the Most Influential Lawyers of the Last Twenty-Five Years” and “One of the Top Ten Lawyers of the Year” by Massachusetts Lawyers Weekly. Meyer, who has been called considered “the quintessential plaintiff’s advocate,” has obtained some of the region’s most notable verdicts and settlements. He maintains the highest peer-review rating for ethical standards and legal ability. $7.2 million award for a doctor’s failure to diagnose breast cancer. In addition to his unprecedented jury awards, Higgins has also negotiated over $75 million in medical malpractice settlements on behalf of his clients in just the last 7 years. Best Lawyers® selected him as the 2015 "Lawyer of the Year" - Medical Malpractice - Boston, and he has been recognized as both a Top 10 and a Top 100 Super Lawyer by Boston Magazine, and has been selected for inclusion in The Best Lawyers in America® each year since 2008. Attorney Higgins has consistently maintained an AV rating (Martindale-Hubbell's highest peer-review rating for ethical standards and legal ability). Attorney Krysia Syska has been actively involved in numerous record-setting medical malpractice verdicts and settlements; many of which have been highlighted and featured in various publications from Massachusetts Lawyers Weekly and The Boston Globe to several national verdict reporting publications. Most recently, she participated in securing a $4.85 million settlement for a baby's birth injuries, and $4.9 million settlement for a baby who suffered severe brain damage during labor and delivery. 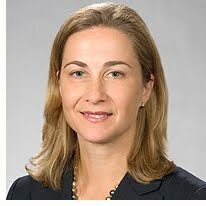 Attorney Syska maintains an AV-rating (Martindale-Hubbell's highest peer-review rating for ethical standards and legal ability), and has been selected to Super Lawyers since 2008, with special recognition in 2011 when she was named to Super Lawyers Top 50 Women list. 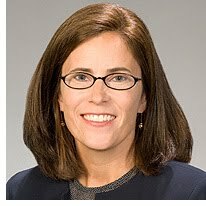 She has also been selected for inclusion in Best Lawyers in America® each year since 2012. Attorney William Thompson is a trial lawyer with more than 23 years of experience in the courtroom. He has successfully represented numerous victims of medical malpractice throughout New Hampshire, Massachusetts and Rhode Island and also handles product liability and general liability claims. He has obtained numerous multi-million dollar awards for victims of medical and personal injury, including 2011's largest jury verdict in NH for a cyclist run over by a truck, and 2011's largest jury verdict in Massachusetts for the death of a newborn baby — $11.48 million (including interest). His jury verdicts have ranked in the top 10 highest verdicts in Massachusetts in 2001, 2006, 2007, 2011 and 2014, and include a $4.9 million verdict for the family of a man whose leg injury resulted in death, as well as a $3.5 million verdict for a woman whose breast reduction surgery resulted in the loss of both breasts. In 2014 he won the second highest jury verdict in Massachusetts, an $11 million verdict for a woman who suffered a delay in diagnosis of ovarian cancer, as well as a $4 million verdict for a woman who suffered a cauda equina injury. 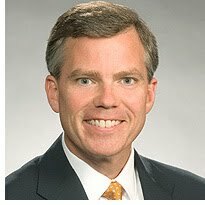 He has been selected for inclusion in Best Lawyers in America® since 2010. Attorney Adam Satin focuses his practice in medical malpractice and personal injury law. 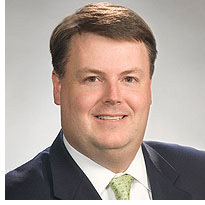 His cases have conservatively generated more than $30 million in gross awards and settlements for clients of the firm. He is one of the few attorneys in the region to obtain an award for punitive damages in a medical malpractice case — having convinced a jury a health provider's conduct constituted "gross negligence." Satin also obtained an $8.4 million judgment after a jury trial against a member of the clergy for sexual abuse of a female congregant. Attorney Satin was selected to the Massachusetts Super Lawyers list in 2011, and has been named among the Massachusetts Rising Stars Super Lawyers each year from 2005–2009 as published in Boston Magazine. 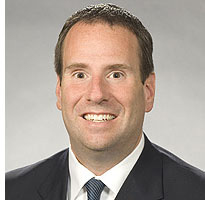 He is selected for inclusion in Best Lawyers in America® for 2012. 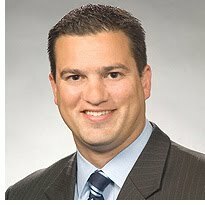 Attorney Nicholas Cappiello dedicates his practice to medical malpractice and general liability litigation. He has participated in multi-million dollar jury verdicts for injured patients, including a $2.5 million verdict for the family of a deceased 31 year old woman whose doctors performed an unnecessary high risk surgery, as well as a $1.75 million verdict for a 42 year old man who was left completely blind after receiving improper care and treatment in the emergency room. Attorney Cappiello has been named among the Massachusetts Super Lawyers Rising Stars since 2010.
a traumatic birth case resulting in brain damage to a newborn. Call toll-free (800) 866-2889 for free case evaluation. Lubin & Meyer attorneys are licensed to practice in the states of Rhode Island, New Hampshire and Massachusetts. Our unique team approach affords our clients access to all of our attorneys and medical professionals. All attorneys representing clients in Rhode Island courts are admitted to practice in Rhode Island or are extended special admission on a case-by-case basis. Attorneys admitted in Rhode Island are: William Thompson and Adam Satin.